IBM Resilient’s mission is to help organizations thrive in the face of any cyber attack or business crisis. The award-winning Incident Response Platform (IRP) empowers security teams to analyze, respond to and mitigate incidents faster, smarter and more efficiently. Part of IBM Security, the Resilient IRP also integrates security technologies into a single hub and provides easy workflow customization and process automation. With Resilient, security teams can have best-in-class response capabilities. 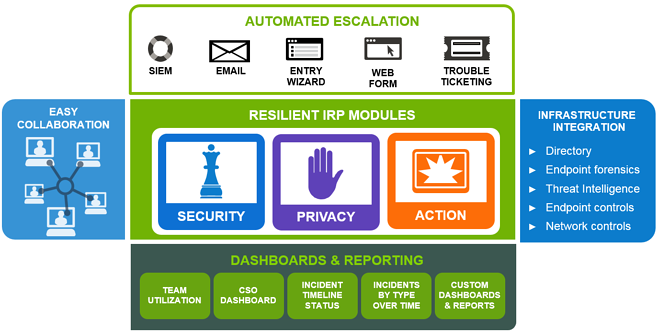 IBM Resilient’s Incident Response Platform (IRP) is the leading platform for orchestrating and automating incident response processes. Resilient’s IRP quickly and easily integrates with your organization’s existing security and IT investments. It makes security alerts instantly actionable, provides valuable intelligence and incident context, and enables security teams to eliminate or streamline critical steps. Resilient’s platform is designed to meet the specific needs of organizations of all sizes and complexity. The Resilient Enterprise IRP is built for large, varied systems of major enterprises. The Resilient Commercial IRP is an economical, yet powerful, IR solution most valuable to mid-sized organizations. It has all the functionality that a mid-sized organization needs to achieve a reliable response capability, and provides a path to upgrade as their needs grow. Resilient’s Enterprise and Commercial Incident Response Platforms empowers organizations of all sizes – from large-scale Security Operations Centers (SOCs) to small IT security teams – to respond to and resolve security incidents more effectively and efficiently. By integrating with your existing IT security solutions, Resilient’s IRP provides a centralized platform for cyberattack investigation and remediation. It unlocks the value of your cyber security investments, and makes your team smarter and faster. 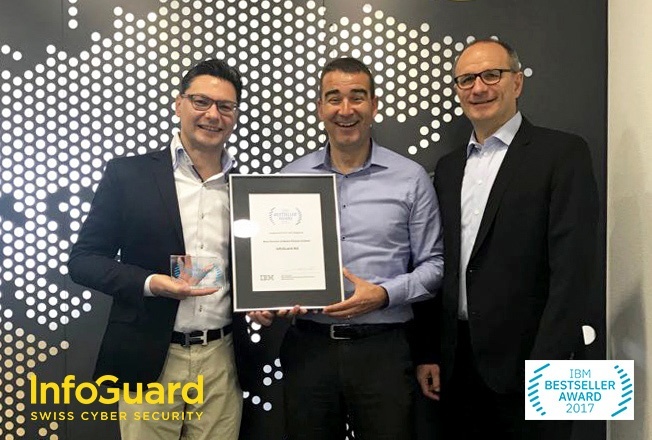 InfoGuard gains the IBM Bestseller Award 2017 in the category Best Solution Software Partner Switzerland. We are proud of this award and appreciate IBM's solutions, which have been surpassed in numerous projects. Why IBM Resilient by InfoGuard? Close cooperation with IBM Resilient and a broad customer base. Erfahrene Cyber Threat Analysten und Experten für Incident Response. What a Fire fighter and a Security Operation Center have together, learn from our blog!